For millennia, herbs and essential oils have been used for a variety of purposes. As an integral part of daily living. They are one of the safest and most effective paths we can follow to ensure ultimate well being. 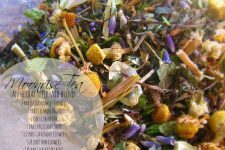 Learning to create and use herbal preparations in the home helps our bodies — and the bodies of those we love the most — function naturally without any toxic chemicals or side effects of conventional medications. A necessary process for the restoration of our live force. Are you ready to rediscover nights of uninterrupted solace? 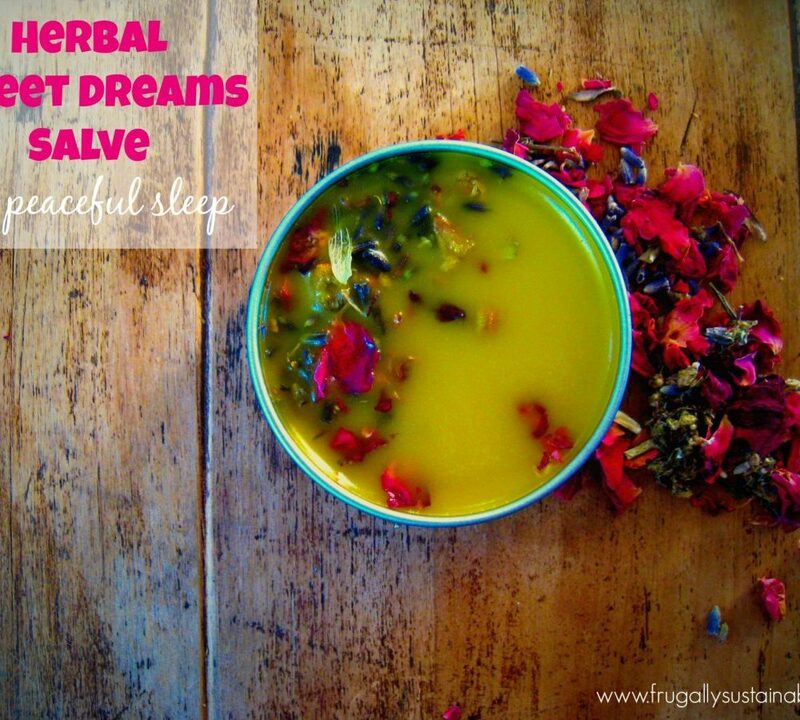 Gather the ingredients, clear the kitchen, and in a matter of minutes you can whip up a batch of this all-natural herbal Sweet Dreams Salve. Raw Beeswax — imparts a creamy texture to the salve…more importantly, it provides a nourishing, germ-killing, protective barrier that lock in moisture. 1. Solar or Cold Infusion. In a 1/2 pint glass mason jar, fill 1/3 full of dried plant material and cover with organic olive oil…filling the entire jar. 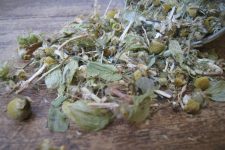 Stir to combine, and allow the oil and herb mixture to steep for two to four weeks in a warm and sunny location. 2. Hot Oil Extract. Prepare a glass jar just as you would for a solar or cold infusion. Except for this method you should place the glass jar in a pot on the stove, or in a crock pot, that is filled with a few inches of water and set on the lowest setting. Be sure to put a towel on the bottom of the pot and infuse the oil and herbs for 4-8 hours, a day, or up to 3 days. Note: Watch the pot and add water as it evaporates. After the infusion, strain the mixture through a cheesecloth or fine mesh strainer reserve the now herb-infused oil and compost the plant material. Using a double boiler or small pot, heat — over a low setting — the herb-infused organic olive oil and beeswax until the wax is completely melted. Add essential oils and stir until well combined. Pour salve into a small glass mason jar — or these tins — and allow to harden on counter. Keep at the bedside for ease of use. It will keep for 1-3 years depending on the quality of ingredients used. I always keep a tin of this salve at my bedside. Each night — just before laying my head to the pillow — I apply the salve to the soles of my feet, temples, my forehead, wrists, and under my nose. Great for adults and children alike. Feel free to have fun with the essential oils. Use what you have on hand. Experiment with the blends, creating something that you find calming and restful. –Health doesn’t come from plastic bottles. Vitality grows naturally from the way you live your life. 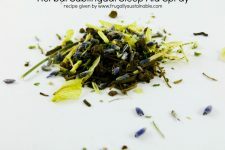 If you want to learn more about herbs as medicine and as food, and if you’re just too busy to enroll in an in-person program, join the Herbal Academy of New England for a comprehensive and convenient online herbal course you can complete anywhere and anytime! The ‘hops’ flower… is that the same as hops used in beer making? Is there anything to substitute for it if it is? I’m allergic to hops! Thanks so much!